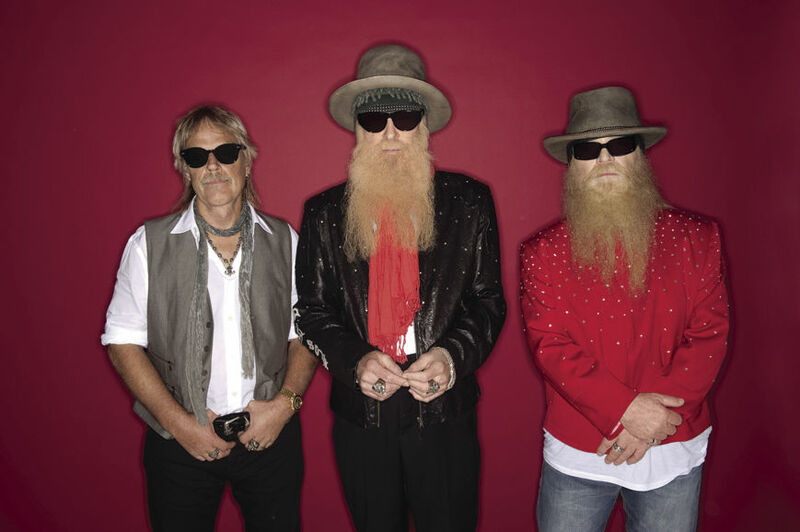 Festiva recently caught up with ZZ Top’s Billy Gibbons via email. The band will perform Tuesday at State Farm Arena in Hidalgo. The show starts at 8 p.m. and also features Dennis Quaid and The Sharks and Austin Hanks. Tickets start at $35 and are available at www.ticketmaster.com or by calling the State Farm Arena box office at (956) 843-6688. FESTIVA: Do you find younger fans to be typical? Or do you find your audiences and fan base are of a certain age group? BILLY GIBBONS: It’s all over the demographic map! ZZ maintains a legion of fans who have been with us since the very beginning and, of course, they’re followed by Baby Boomers, Gen Xers, Gen Ys, Millennials, all taking part at our shows. Everybody’s welcomed and encouraged to get on down, including hipsters, flipsters and finger popping daddies, oh yeah! F: Did you catch this “First Drafts of Rock” skit on The Tonight Show with Jimmy Fallon on May 8? Chris Stapleton plays you! What did you think of it? BG: Chris is a great guy and superb song writer. I’ll give Chris a shout to come down to McAllen and “play me” at the show on May 23rd. Chris might even offer a few extra convincing BFG pointers of his own! F: What’s your impression of the industry right now, and are there any new artists you’re a fan of? BG: It’s in flux but we ain’t flummoxed, we just keep on keepin’ on and rock out as the decades come and go. We do like some of the newer cats coming up including LA punkers Surprise Vacation, our buddy Austin Hanks out of ’bama and quite a few more. An open mind is good to find. F: Did you and Dusty aspire to be #beardgoals? They continue to be quite fabulous! BG: The chin whiskers were a serendipitous coincidence. Dusty and I hadn’t seen each other for quite a while, however, when we reconnected in person we both had sprouted some significant “beardage” going and we stayed with it. Our dauntless drummer whose real name is Frank Beard didn’t have to bother since his Beard is right there on his driver’s license. F: Any new additions to your amazing car collection you can tell us about? BG: We got the bad little sister, “Whiskey Runner” out on the car show circuit now and there’s a hotrodded Willys Jeep wagon from 1951 in the works. We dig that low-and-slow ancient iron. F: Any new music releases planned? Not that we’re sick of spinning the classics. BG: New/old is “Cinco,” a collection of our first five albums restored, remastered and sounding killer-diller. New/new is being recorded now. There are a few sonic concoctions playing in our heads so it’s just a matter of time before we take ’em to wax. F: We’re excited to see you in Hidalgo on May 23. Have you spent much time in the Rio Grande Valley? Any thoughts on our border region? BG: Oh, yes! We still maintain a presence down la frontera. See you soon! Bueno! !